The core plugin, Symbiostock Pro, has developed into an advanced software technology unlike any other available for digital media professionals (photographers, vector artists & videographers). With so many features and plugin extensions available, we rarely receive requests for new additions. Plugin extensions include the Symbiostock Submitter, Symbiostock Video, Symbiostock Maps and Symbiostock Anytype. Symbiostock Hosting was created to alleviate the server side troubles experienced by so many Symbiostock users. This solution has greatly reduced the occurrence of server related issues and simplified the process for new users to setup their independent site. We launched Symzio, the first contributor centric stock agency. Symzio works in a revolutionary way by connecting directly to independent contributor websites and allows artists to set their own RF prices and retain the bulk of sales profit. We also created the free Symzio Link Exchange Widget to assist the community reach their SEO objectives. 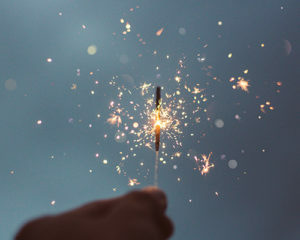 These powerfully interconnected elements have received deep dedication from our small team of developers, to a point where we believe all the technological development made has setup a solid foundation from which we can now shift gears into the next big task for our community: marketing and promotion. Now that all the big tools we needed to be armed with as independent artists are here, we can move forward and confidently place our efforts towards jumping over the marketing hurdles that exist. There are numerous unhappy microstock contributors who are not aware that an option outside of the mainstream exists for them. The more contributors learn about Symbiostock and join the movement, the more pull we will have in attracting digital media consumers. Whilst marketing is its own beast to conquer, we’re excited and committed to this next challenging phase. Symbiostock is ready to strive into 2017 with goals of expanding our community’s footprint and influence. In other words, we’ve made a solid ship and we’re ready to set sail! From the team here at Symbiostock, we thank our wonderful community of artists for your continued support and we look forward to working alongside you towards the opportunities that lay ahead. We will soon be introducing Symbiostock Vendors – a formidable new plugin designed to allow businesses that are comprised of multiple individuals to set up a single Symbiostock website with multiple sub Symbiostock contributor accounts to cater for each person. The plugin facilities a system where each individual user has with their own WP dashboard and their own Symbiostock FTP folder, from which they upload and manage their individual media products. Sub accounts are unable to access the main website’s admin settings, which only the parent admin account has access to. This advanced system is scalable and contributor accounts can be added or removed as required. Symbiostock Vendors allows groups of artists who wish to work together as one entity, to establish their core Symbiostock site whilst at the same time provisioning each artist with the tools needed to control their media products, without affecting the media of other users – you can only see and edit your own uploads through the backend. On the frontend, everyone’s media appears on the one website. The website also integrates into Symzio as one business. This means the combined pool of published media is piped through only one single Symzio account. Symbiostock Vendors is currently in its testing phase and further information about the mechanics of the plugin will be provided closer to its release date – which we anticipate to be later this January. Over the last two years we have assisted and ensured that Legacy Symbiostock users who wanted to progress forward with our technology had a means of migrating to Symbiostock as efficiently as possible. Our Legacy Symbiostock Importer/ Exporter made this a significantly seamless process compared to the task of manually transitioning media over to a new system. The volume of usage of the importer has reduced now to a point where it is not resource worthy to maintain its upkeep. As a result, the Legacy Importer/Exporter will be officially retired on the 31st of January, 2017. This gives ample time for anyone who may still be using the legacy system to migrate over to Symbiostock. Our team will provide requested assistance with transitions only up until the deadline, after which the importer will permanently be deactivated. Coming soon is a powerful new addon called Symbiostock Maps. Symbiostock Maps will allow you to display multiple photos and media on an interactive world map. 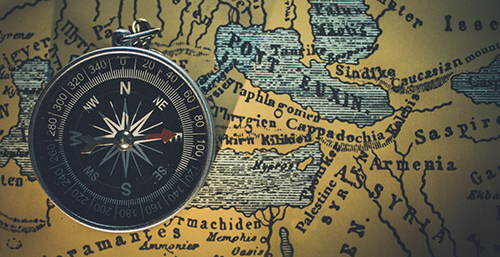 This optional addon for Symbiostock Pro uses the Google Maps API to insert a customizable map anywhere on your website. If your media is geotagged (i.e. assigned with a geographical location), Symbiostock Maps will use that information to present the location of the image on a Google map. Multiple maps can be created to focus on different regions of the world. You can choose how many images you want shown; whether the images show up as thumbnails or location markers; customize colors; thumbnail proportions and more. When a thumbnail/location marker is clicked, a popup opens up showing a larger preview of the image – which if clicked takes the customer to the actual product page. Symbiostock Maps is perfect for artists who capture travel locations, architectural marvels and natural wonders, whether it be via photography, video or illustrations. Further details on how to make the most of Symbiostock Maps will become available with the release of this exciting new addon. In the recent months Symbiostock Forums have been buzzing with independent artists trying to collaborate and brainstorm ways of supporting each other through mutually beneficial link exchange agreements. Creating niche specific link exchange partnerships can be a valuable way of attracting visitors to sites, both through direct traffic exchange and by triggering search engines. However, creating a link exchange system isn’t always easy to keep track of and requires ongoing monitoring and maintenance. Tasks such as checking your partnered sites to ensure that your links are still there, or checking whether the sites you’re linking to are still online and implementing updates are ongoing aspects of link exchanges that are time consuming and not much fun to do – because most of us would rather spend that energy working on our creative projects. Although there will be a default minimum number of listings displayed, you will be able to set how many contributors you want to list on your link exchange area. The Symzio Link Exchange Widget will become available soon and will be bundled with the base Symbiostock Pro plugin. As we continue to band together as a proactive community of independent artists, the greater our opportunity for success becomes. And with innovative tools such as this new widget we can easily keep up our momentum up and further growth of our movement! Symbiostock Anytype is now available from the Symbiostock Store! Symbiostock Anytype is an optional addon for Symbiostock Pro. Symbiostock Anytype requires Symbiostock Pro 3.3 and is not compatible with older versions of Pro. What does Symbiostock Anytype do? Symbiostock Anytype permits you to upload a file that you can associate to any product within Symbiostock to be served to customers upon purchase instead of the original uploaded media file. The file is sold through the same individual product page as the corresponding Symbioctock media product. The associated file can be any type of file, for example: RAW, ZIP, PDF and DOC files. Have you ever thought about selling a ZIP bundle that contains an image file and a model release document? Or a ZIP bundle with a vector file and a JPEG? How about selling RAW versions of your images? What a revolutionary idea?! These are just some of the most useful ways of utilizing Symbiostock Anytype. You can also be creative and make image packs – create a four pack of Christmas pictures and sell them during the upcoming holiday season. 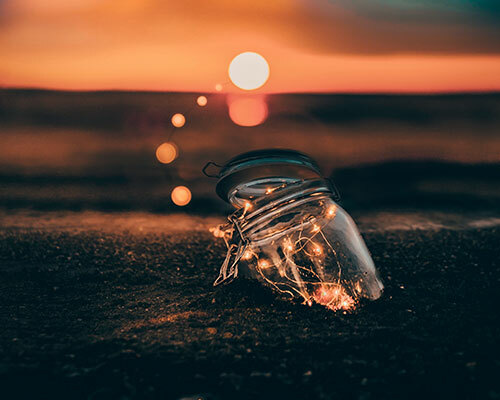 And if you really want to think outside of the box, you could even sell PDF tutorials on how you created a particular image – of course you may not want to give away such trade secrets! But the point is, Symbiostock Anytype allows you to customize the downloads for each product listing in powerful new way. What media product types can Symbiostock Anytype be used with? You can use Symbiostock Anytype with any media type, be it videos, images, or vectors. How do you use Symbiostock Anytype? 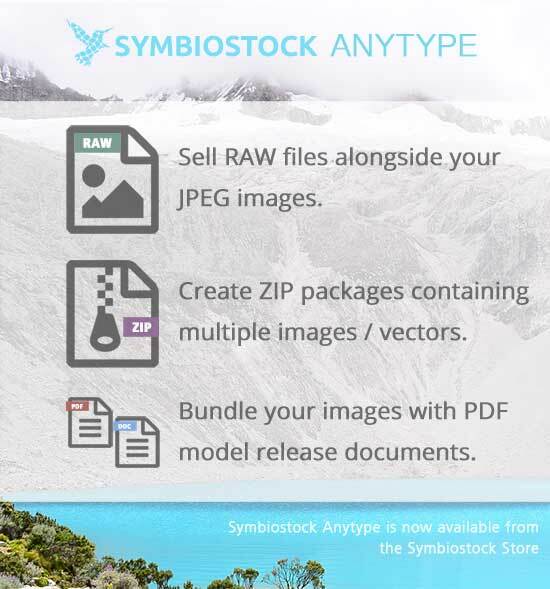 For a detailed guide on how to use Symbiostock Anytype to create downloadable RAW files / a Packaged ZIP file for a vector / Image Packs, please see our documentation. As a brief overview, the way to use Symbiostock Anytype starts with creating a new license using the usual license creation steps. Once you have the new license set up, you are required to specify an arbitrary ‘postfix’ in the ‘Arbitrate download’ field. This postfix is then used in naming the file that you which to serve (there is a specific syntax formula that must be used). Symbiostock Anytype looks for files with the specified postfix and associates it to the correlating product using the syntax formula. Once associated to a product and updated by the cron processor, the new license shows up on the product’s license options. When the license is purchased, a download for the associated file is served to customers. Is there a limit to the number of arbitrary download licenses you can create with Symbiostock Anytype? No. You can have as many arbitrary download licenses as you want, even more than one per image. How much does Symbiostock Anytype cost? $29. This includes lifetime updates. You can grab Symbiostock Anytype from the Symbiostock Store. https://www.symbiostock.org/wp-content/uploads/2016/10/sept13-blog1a.jpg 481 600 Dawn /wp-content/uploads/2017/07/logo-blue-1.png Dawn2016-10-14 03:44:342017-07-14 14:53:04Symbiostock Anytype: Sell RAW Files Alongside JPEGS & more! Symbiostock Video + Submitter – now available to all Symbiostock users! With the Symbiostock Submitter you can streamline the tedious task of uploading stock media to multiple agencies from the central hub of your Symbiostock WordPress install. Using FTP, the Symbiostock Submitter allows you to automatically (or manually) submit images, vectors and videos to third party agencies. You can submit stock to as many agencies as you need, so long as the agency supports FTP uploads. This plugin truly eliminates the extra work required for managing multiple submissions. In conjunction with Symbiostock’s meta editing features, you can create a setup where all you need to do is upload your media to Symbistock, add meta data information, click publish and that’s it – not only is your image/vector/video live on your independent site, it’s automatically sent to your third party agencies. Symbiostock Video is a revolutionary plugin that allows anyone to start selling stock footage through their independent Symbiostock site. If you’re a stock video producer, this means you no longer have to rely on stock agencies as the sole means of selling your videos. Once installed, Symbiostock Video permits you to upload a myriad of different video types that will all get processed and added to your Symbiostock store exactly as images do. Your customers will be able to view demo videos, complete with custom watermark protection and instant downloads upon payment! Additionally, a large bonus element of the plugin is that it supports videos that are longer than 1 minute in run time. As this is something that most agencies don’t currently offer, you can use this as a unique marketing angle for your independent site. Symbiostock Video is compatible with the Symbiostock Submitter, so you can just as easily submit videos to agencies directly from your Symbiostock site. These plugins are available for purchase through the Symbiostock store. If you’re after both of the plugins, we also provide a heavily discounted bundled option. https://www.symbiostock.org/wp-content/uploads/2015/12/plugins-blog2.png 501 500 Dawn /wp-content/uploads/2017/07/logo-blue-1.png Dawn2015-12-29 16:30:442017-07-14 14:53:04Symbiostock Video + Submitter - now available to all Symbiostock users! Symzio spawned from a deep desire to stimulate some balance within the microstock agency, in the favor of contributors. As microstock contributors ourselves, we are all too well aware of how unrewarding it feels to generate $0.25 from an image that took so much more than twenty-five cents in time value to create. Yet day-in-day-out such earnings make up the majority of monthly royalty earnings for most stock contributors. But contributors are not the only ones hurting. Consumers are also unhappy with the lack of choices available and are funneled into spending more than they’d like with costly subscription packages. Which is why we created Symzio. The first completely contributor controlled agency that charges customers less and pays contributors more. With a heavy focus on One Time Use licenses to attract customers who are looking for exactly that – unique one off stock media for that one blog article, or one advert, or one website banner, or one brochure. Individuals who don’t need subscriptions or RF licenses but who end up having no other choice. And the benefits for contributors are just as great – your images don’t get filed into royalty free storage folders for a mere twenty-five cents to your pocket. Symzio is radical with a massive potential for progress and we want you, our fellow contributors, to be a part of it. – No approval process for stock media. Symzio contributors simply upload media to Symbiostock & manually select what you want to include or auto-include to Symzio (Symbiostock 2.1+ required). – Contributors retain 70% of their sales earnings. – Symzio Affiliate Program provides affiliates 10% of every sale referred to us by them. – Bonus opportunity for contributors to retain 90% sales earnings if a customer purchases the contributor’s own image through their own referral. – The minimum a Symzio contributor will earn on a single sale is $1.40 (for a medium One Time Use JPG). We encourage you to peruse the new Symzio site, read the info pages and TOS to become familiar with how Symzio operates. We are currently taking contributor applications and details on how to apply can be found here. Additionally, as Symzio is launched as a Beta, we will be utilizing this phase as a period for tweaking aspects that we may find need improvements as we move forward. https://www.symbiostock.org/wp-content/uploads/2015/11/symzio-launch-blog.jpg 376 600 Dawn /wp-content/uploads/2017/07/logo-blue-1.png Dawn2015-11-29 22:58:502017-07-14 14:57:17Symzio Launch! 1) Some good news for current and future Symbiostock users – we have now opened our support request system. If you need direct or quick help from the Symbiostock team, you can now submit a support request to us. We have nominal fees attached to some of the tasks in order to make it a sustainable ticket system. Some services include server debugging, fresh installs, migrations from legacy, and custom work. This system is meant to provide easy solutions to individuals and organizations that want quick fixes or tweaks that they are otherwise unable to implement themselves. There are various terms associated to these support requests which you can find on the request page. 2) We are now permanently going to be using in-house or paid images from users within the Symzio network for all our blogs and emails. Our budget for these one time uses is $5, so price accordingly if you want to be included. 3) We are going to be rolling out the next stage of the Symzio network by providing a central search engine at symzio.com which will permit visitors to search the network in one quick manner. Woocommerce has released a new update and unfortunately, the new Woocommerce 2.4.X version has components that are not completely compatible with Symbiostock. All of our current Symbiostock users are warned not to upgrade your Woocommerce plugin to the newest version as it is likely to cause issues for your Symbiostock site. Woocommerce 2.4.X may also make changes to your database that could be difficult to revert. – The capacity to sell non-Symbiostock products through your store. – Improved SEO features to assist with search engine exposure. – Greatly enhanced Quick Edits to make meta-data editing and key-wording faster and more efficient. – The ability to personalize license description from ‘Commercial’. – Advanced CMYK color correction option if you experience thumbnail color variation and have a server that supports it. – Custom translations for Symbiostock controlled titles and terms. These are just a handful of the awesome features we’ve bundled into Symbiostock 2.0. The update is scheduled to be released within the next few weeks. We can’t wait for you to dig into it! A particular issue with the existing Woocommerce system is its inefficiency with how it selects ‘Related Products’ that are displayed on individual product pages. For example, a stock photo of a red apple could show ‘related’ images of people rather than shots of other apples. This was a great concern for Symbiostockers and some of you voiced your requests for a better solution on our forums. And we absolutely agree about the necessity for displaying accurate related product links. This is why Symbiostock 2.0 completely takes care of this problem. Start looking forward to seeing related products that are indeed related! The addition of this feature uplifts and transforms product pages, increasing exposure for your images and making upsells a lot more effective. GPS Geotagging with Symbiostock 2.0 Preview! 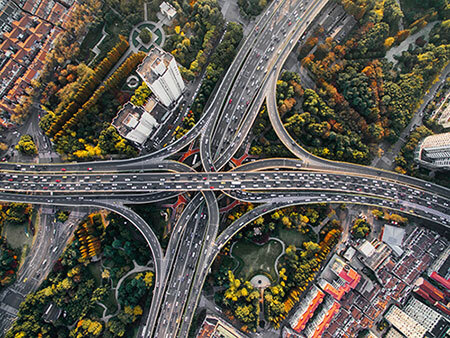 When you upload an image that has GPS information (usually automatically signed with enabled cameras) Symbiostock 2.0 will read this information and provide your customers an interactive Google Map. It will point to the exact location the picture was taken. This localization is often useful for people looking for images from specific areas or countries and is a great visual tool that will help you increase your sales, especially if you are a traveler. Again, this system will be integrated right into Symbiostock and will work to add a new tab on your product page, totally compatible with any WooCommerce theme. It can be enabled or disabled globally, on a product basis, and the GPS data can even be manually edited if you want to correct or specify something. https://www.symbiostock.org/wp-content/uploads/2015/07/GPS-Location.jpg 665 696 Dawn /wp-content/uploads/2017/07/logo-blue-1.png Dawn2015-07-26 23:56:472017-07-14 14:53:04GPS Geotagging with Symbiostock 2.0 Preview! If you’re a stock videographer, this is the good news you’ve been waiting for. Video support is on its way to Symbiostock PLUS. This means you will have the ability to sell your stock footage directly from your own independent store. Your customers will be able to view demo videos, complete with custom watermark protection and instant downloads upon payment! But wait, there is indeed more. We’ve also developed the facility for you to distribute your videos to stock agencies in an identical manner to our agency image submitter. Upload your videos ONCE to your Symbiostock PLUS site and then proceed to uploading the videos to AS MANY AGENCIES as you want AS MANY TIMES as you want. For those of you with capped internet limits, this translates to saving a great deal of time and bandwidth. The video functionality on PLUS will not be available for standalone users due to the specialized technical framework required to process them. At the current time, there is no reliable way to bundle this with the plugin. As you may be aware, Symzio has been quietly under development. Symzio is a means for Symbiostock users to gain greater exposure for their images and to promote the growing network of independent Symbiostock artists. The first component of Symzio, the Symzio Network Widget, is to be released with the forthcoming Symbiostock 2.0 update. The Network Widget will alter the landscape of Symbiostock sites, enabling contributors to syndicate each others images through their own sites seamlessly. 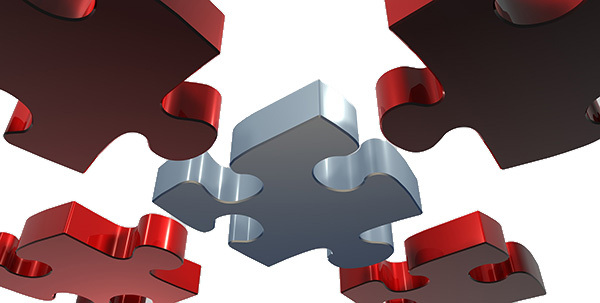 A key feature of the Symzio Network Widget is its versatility and ease of use. You can control how and where the widget appears on your website. You can insert the widget into your site’s theme just as you would any other WP widget, or use shortcodes to embed it into sections of your site. The idea behind this is to ensure you maintain control over the appearance of your site. Not only this, but the Symzio Network Widget is intelligent. It will provide images that relate to whatever it sees on your page, whether it be a post, product or a search query. It will provide your visitors relevant images from across the network, creating a rich browsing experience. The good news is that if you are already a Symbiostock user, you can sign up for the Symzio network now so that when it is launched your images will be some of the first to be syndicated across the network. This is just the first step towards a prosperous independent community of media contributors. After only about a month since release, the Symbiostock family of artists, photographers and illustrators now numbers in at over a hundred. This is a great milestone for every contributor that wants to sell their media direct to customers, and hints at an even larger community for the future. With our latest release, the plugin is now available to even more users, and we expect Symbiostock to continue giving a growing number of artists an independent avenue for monetizing their artistic endeavors. https://www.symbiostock.org/wp-content/uploads/2015/06/photo-1429041966141-44d228a42775.jpg 267 400 Robin /wp-content/uploads/2017/07/logo-blue-1.png Robin2015-06-22 14:09:232017-07-14 15:01:07Over 100 Happy Symbiostockers! We haven’t talked much about Symbiostock PLUS yet, so this will be our formal introduction to it. Symbiostock PLUS is the service that the makers of Symbiostock have created for users that need or want an easy hosting solution for their media. It is an economical, fully supported hosting system that does not require any technical expertise to get started with. As soon as you sign up with PLUS, you log right into a WordPress install with everything ready to go. You have access to a myriad of specially chosen plugins that you can use to enhance your store, from EU VAT tax, to Search Engine Optimization. Our most economical plan, at only $5 a month, permits you to host all your images in one central location, have your own fully automated ecommerce store, and even allows you to distribute your images to stock agencies as you add them. Yes, one of our newest features is meant to bridge that gap, allowing you to earn on your media through third party agencies and through your own ecommerce store. Our distributor service automatically uploads your media to designated agencies depending on their media type. It even auto-generates JPEGs for your vectors if you want, and submits them with the vectors. It keeps track of all your submissions so there are no duplicates, and allows you to exclude any images you want from being distributed, or re-uploading ones you want. This, along with a variety of other services, is completely free with every PLUS account. Our goal with PLUS is to be able to provide a service at a cost that pales in comparison to the plethora of rich features you, as an artist, can use to further fund and monetize your talents. Click here to find out more about the features PLUS has to offer. Introducing the Symbiostock Artist Network feature! We want to showcase and promote artists who use Symbiostock to bring their digital media store to life, which is why we’ve created the Symbiostock Artist Network. This is an optional perk only available to Symbiostock users and it’s completely free to join. Artists who are part of the network will have a their website listed and linked to from the Symbiostock Artist Network page AND their site will be randomly spotlighted on our homepage. Demo samples are currently populating our homepage and network page to show you exactly how artists will be featured. Links are always randomly rotating upon refreshing the page to ensure everyone gets equal visibility – and it’s pretty fun to see! 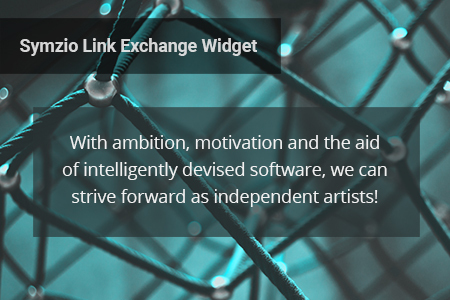 To promote the network we will be providing optional sleek badges for network artists to use on their website as a means of linking back to the network page. Our Symbiostock Express demo site already has an example of the badge which you can see in the footer section. For full details on how to join, checkout our submissions page. We’re looking forward to meeting new artists! The new Symbiostock is right around the corner. It looks great, but how will it affect my sales? Here we will analyze the pros and cons of upgrading to Symbiostock. If you’re a new user, or don’t have a site currently operational, then there’s no need to read on – Symbiostock is an awesome, beautifully free opportunity to monetize your images. You should be all over it! However, if you’re an avid photographer, illustrator, or vector artist, and you currently have your own media site that you sell through, you need to decide what’s best for your continued success. There are only two questions you need to ask yourself: a) Am I making money on my independent site? and b) How am I making money on my independent site? 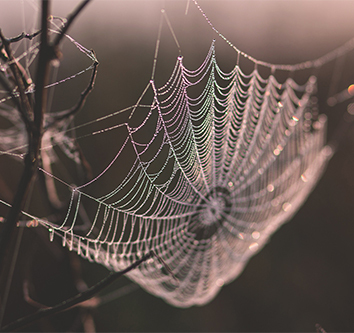 We’ve been getting questions about the networking aspect of the new Symbiostock. As the legacy version had networking built right into it, users were able to find other Symbiostock users’ sites relatively easily. But legacy users have had mixed results with this feature – do you get sales through it? If the answer is ‘no’, then upgrading can only help increase your revenue. Your hard work in regards to SEO, keywording and tagging can all be preserved when you upgrade. It will take some elbow grease, but once switched over, you will have a much better experience, whether it be tweaking your site or uploading media. The new Symbiostock has a plethora of features and usability upgrades that make the entire process very fun and pleasant. Not to mention compatibility with any theme you prefer. If the answer is ‘yes, I make lots of money through my legacy site, specifically through the networking features’, then you are one of the unique legacy Symbiostock users that has to carefully assess how you proceed with the upgrade. As Symzio, the massive search engine system that is the next step of the Symbiostock project, is still under development, if you were to upgrade immediately you would lose the networking feature that is gathering revenue for you. If you do not currently have an updated, fully operational independent media sales platform, using Symbiostock is an awesome opportunity to monetize your digital art. If you currently do have a fully operational site, but find that it garners little to no sales, upgrading to Symbiostock can only help increase your sales and throughput through its ease of use, flexibility, and advanced features. If you currently have a profitable site that generates most of its revenue through your own hard work, whether it be SEO, marketing, or other mechanisms of promotion, then upgrading can likewise only help your sales as long as you take the time to do it right. If you currently have a profitable site that generates most of its revenue through the networking feature of a legacy Symbiostock site, then it may be best to install the new Symbiostock on a separate server, or go with one of our hosting options, and slowly start integrating your media with the new site, then slowly switch over as Symzio comes closer and closer to release. If you have a current site, it is very important to take into account all the pros and cons of moving over, ensuring that all your hard work is preserved and amplified when you upgrade to the new Symbiostock. Once Symbiostock is released, our forums will be buzzing with upgrade related matters, so get involved there if you also want to make sure that your upgrade goes smoothly and painlessly. The Symbiostock Demo is Live! A long time coming, the Symbiostock engine is now almost ready to be released. Along with Symbiostock, we will be releasing Symbiostock Express, a custom premium theme we’ve developed that is built on the wonderful GPL Virtue theme by Kadence. Fully customizable, Symbiostock Express is catered specifically for people who want to sell their media, whether they be photographers, graphic designers, or vector artists. The demo site can be viewed here. Soon, we will be doing final testing on Symbiostock and then plan a full release. Symbiostock itself is going to be 100% free, and always will be. You can download the plugin, along with all the necessary other free software (WooCommerce, WordPress) and launch your own digital media store. Symbiostock will work with any theme. But that doesn’t mean it will look it’s best unless you have a chance to personalize it, or buy one that fits your needs perfectly. Symbiostock Express is an optional theme you can buy that has been built specifically for Symbiostock. It does not add any features you cannot customize yourself with a little elbow grease and some coding expertise, but is still a simple way to get going easily and quickly. For those of you that don’t want to setup your own server, install all your own software, and debug any possible issues, we have good news for you. Along with releasing the standalone, we are going to be offering the Symbiostock hosting service. With our hosting service, you will be able to sign up and log directly into a fully functional Symbiostock install and begin uploading immediately. No more database issues, no more PHP issues, no more directory permissions or fatal errors; we will manage all of that so you can just sell your media. As an added bonus, Symbiostock Express will be free for all hosting clients. This service is going to be the primary way we fund Symbiostock’s development. Although not complete, below you will find a list of some of the features Symbiostock has to offer. We anticipate a release date in the coming weeks. Stay tuned! – Full store-front experience: search, categories, product page, add to cart, cart, checkout and more. – Depending on theme, fully responsive design with animated sliders, large images, image centric. – Support for most image types, including GIF, JPEG, PNG, EPS, TIFF. – Create as many global licenses as you need. – Each license can be fully customized, from image size to title, description, and default price. – Global licenses can be applied to any media in your store. – Apply license changes (price, size etc.) to all products automatically. – Create JPEG licenses for vector images and set the size of the rendered file. – Mass edit image descriptions, titles, categories etc. – Automatic, customizable emails to customers on signup, purchase etc. – Support for VAT, GST, custom rates etc. – PayPal, Stripe, Amazon Payments, ANZ, Authorize.net, eWay, BrainTree etc. – Compatible with Yoast SEO, SEO Ultimate, etc. If you have questions about any of these features, or don’t see something here that you would like to, let us know in the forums. https://www.symbiostock.org/wp-content/uploads/2015/04/Untitled-64.jpg 338 500 Robin /wp-content/uploads/2017/07/logo-blue-1.png Robin2015-04-28 01:04:252017-07-14 15:01:22The Symbiostock Demo is Live! 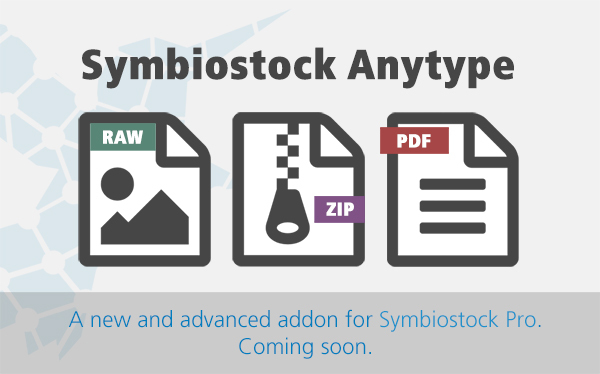 Want pre-release access to Symbiostock? Volunteer to be a beta tester. We’re going to be rolling out the hosting solution along with the standalone release as well as the Symbiostock Express theme. But prior to that we’re going to be running a closed beta for a few days. You won’t need to download anything or set anything up – as a beta tester, you will have an account created for you where you can log right in and put your media for sale in just a few clicks. Our motto is: Break it! We want this to be a robust plugin that is coded tough and ready for abuse. We’ve developed it from the ground up to be seamlessly integrated and easily removed. It is, however, such a powerful plugin that you shouldn’t expect to be using your Symbiostock install for much more than selling media. Perhaps a blog here and there. Back to the point – as a beta tester, you will be tasked with the job of breaking Symbiostock. Upload weird files. Put in weird settings. Of course, you can easily break your install by deleting pre-configured settings – our goal is to stretch the limits of normal use. And we’re confident you can help us with that. The closed beta will be run within our coding forum. We want to not only hear about bugs, but your thoughts on the system – what you like, and what can be improved. A new refit to go along with a spectacular new plugin. The new fully Open-Source Symbiostock plugin is almost ready to go. With beta-testing only a week or so away, we’re going to be launching what we hope is an indispensable tool that gives contributors and artists a means of showcasing and selling their wonderful creations online. Development was a bit rocky with changes and transitions, not to mention an intense couple of weeks of wrestling with both WordPress and WooCommerce! But as with most experiences where you weather the storm, the end result is always more satisfying. Speaking of beautiful media, we’re going to couple each one of our blog posts with a fantastic, interesting or fun image. Stay informed by frequenting our forums and checking out our blog. We’ll be rolling out some exciting stuff in the next short while. If you have an image you want to throw us, we’d love to showcase it! Endless thanks to all the supporters and contributors who have cherished and backed up the project all these years.